This online course is made available to anyone who would like personal enrichment in an introduction to astronomy. 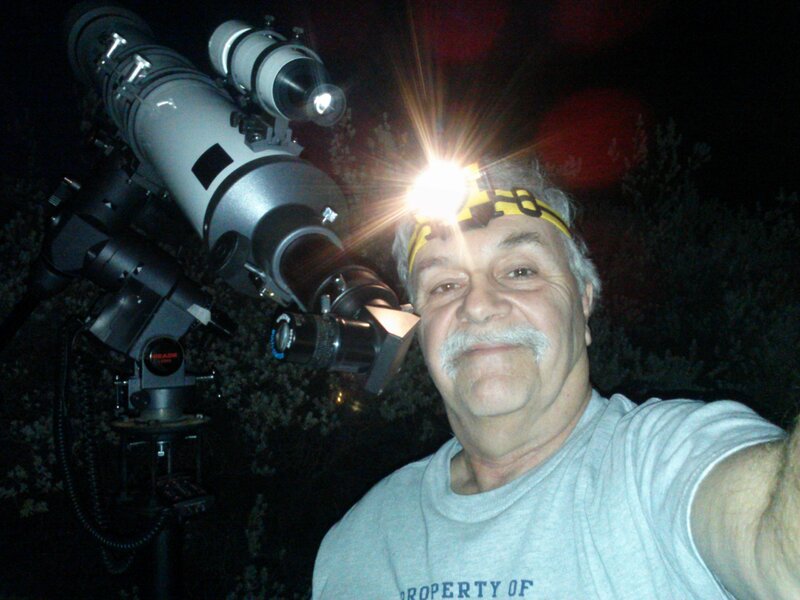 I take a classical approach to the teaching of introductory astronomy based on my 30 years of teaching introductory astronomy at the freshman college level. This course could be used as self-study or as a tutorial by students taking an introductory astronomy course. Home schooled students might find this course helpful. The course is designed to give the student a basic understanding of the science on which several important concepts in astronomy are based. It covers ancient concepts of astronomy from myth to modern scientific ideas. It ends with a brief overview of the solar system. Any new and current information is available on line at various sites such as NASA. If requested I can offer this course with activities of accountability such that teachers or other professionals could request professional development credits from their institution. I would supply a Certificate of Completion to the person who completes this course including the activities of accountability. The course is made up of readings, audio lectures, video clips and several activities. The course content is seen on the left of the page. There are clickable links to the various components of the course. While there is no fixed method to take this course, completing each Module in turn would be a reasonable way. This course runs within your browser so be sure to use the back arrow to return to the main page after you have completed a component of a module. This is not a credit course so you will not find any exams or quizzes or any laboratory activities. There are no lab materials required. All of the readings are incorporated within the modules. You do not need anything but your computer and pencil and paper to complete the course. There are over 9 hours of audio lectures and video clips. The readings are contained within over 90 pages of text. You can finish the course in 5 weeks if you devote 3 hours per week for study. I have included a link to my 360 SkyCam. The image is the current sky as seen from my observatory. A star chart synchronized with the actual image is useful in identifying constellations as seen at the time the image is accessed. The image is live beginning at 7:00 pm MST each night and is updated every 5 minutes until 4:59 am MST the next morning. The link is found under Course Content to the left under Links for Course. There is also a link for the wonderful and free 3D planetarium software called Stellarium. Using this program as well as the various simulation demonstrations one should be able to visualize how the sky is understood by astronomers. This online course is based, in part, on a Pima College course I developed and taught as a hybrid online/traditional course, however, it is not a Pima College course and is not affiliated with Pima College in anyway. I am able to develop this course or one similar for any institution who might like to use it as an e-course. You may take this course without charge. It is FREE! I only ask that you send me an e-mail at apiaz123 (at) yahoo (dot) com with your comments and how you used the course. It has been tested on PC, Mac and Android tablets and phones...however the flash demos do not currently work on the IPad. While not necessary, if you found this course useful you might like to buy my fun read sci-fi book for $0.99 as a way of showing your appreciation. The title of my book is Of Stranger Things and is available for immediate download to your Kindle or in paperback at a higher price from Amazon. This is a beta test, generic version of the course and is available for anyone to take for FREE. This course is copyright 2013 by David G. Iadevaia, Ph.D. Tucson Arizona. All components which are produced by Professor Iadevaia can not be used outside of the course. Those components are identified and are not limited to audio lectures or video clips. Some materials have been used with permission from the other copyright owners and can not be used by third parties without their permission. Other materials are used with implied permission because they exist in a public domain. This course is an independent project by David G. Iadevaia, PhD for Student and Teachers Solutions, LLC and has no affiliations with any other college or company.